Gartley & Dorsky Engineering & Surveying, Inc. offers a full suite of engineering and surveying services, including civil and structural engineering, land and hydrographic surveying, permitting and soils services for residential owners, large corporations, architects, contractors, municipalities and state government. The company began in 1992 as the Camden branch office of an Augusta-based engineering firm. Will Gartley moved back to his hometown area to start the office to better serve Midcoast clients. By 2003 the office had grown to a team of nine employees. 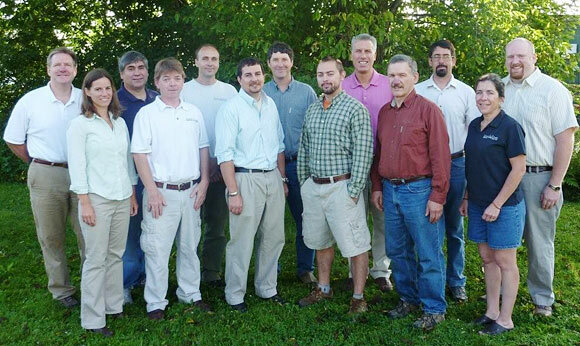 In September of 2003 Will and Jim Dorsky purchased the Camden office and re-named the firm Gartley & Dorsky Engineering & Surveying, Inc.
Today we have a full staff of thirteen employees. "As a one-stop engineering and surveying firm, the full array of services Gartley & Dorsky offers is a big advantage and a convenience to our clients" says Gartley. "We function as a consulting firm that is able to coordinate a client's project from beginning to end with the ability to respond quickly and accurately" adds Dorsky. Our personal and professional service and conduct has earned us a great reputation with a tremendous client return-rate, making us now one of Midcoast Maine's largest engineering and surveying firms.